“Wheelman” stars Frank Grillo as a getaway driver, recently released from prison, who finds himself in some high-speed, high-octane trouble when a bank robbery he is participating in goes horribly wrong. While the bank robbery is in progress he gets a call from someone who orders him to speed off as soon as the money is deposited in the trunk but before the bank robbers can get in the car, or he and his wife and family will die. He finds himself speeding from one end of Boston to the other, knowing that he is being set up for something, but not sure how or why. On top of all that, his teenage daughter calls with the news that she is home alone with her boyfriend. What is a father who is also perfectionist criminal on the run from shadowy enemies to do? “Wheelman” is about an everyman, whose name is never revealed, who is trying to survive as a pawn in a larger war between two rival gangs. The plot and the setting that exist inside a getaway car is evocative of 1970s genre films that involved fast cars, urban jungles, and desperate, violent men. Reviews in both Variety and Film School Rejects suggest a film that combines action with a twisty plot. The film does not entirely rely on action and violence to move things along, but they are there when appropriate. 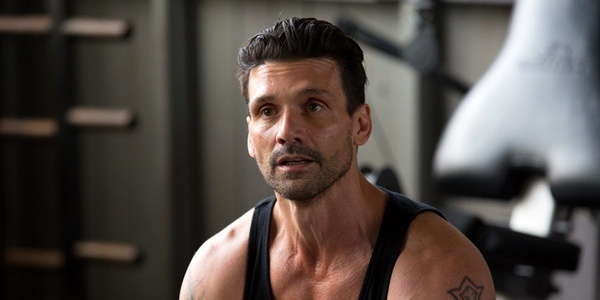 Frank Grillo has been in a number of TV shows and films. He is best known as Brock Rumlow, a villain who becomes a supervillain called Crossbones in the last two “Captain America” movies. He tends to play tough-guy characters no matter what side of the law they happen to be on. Garret Dillahunt, playing Wheelman’s friend Clayton who set him up for the bank robbery job, has played villains in such TV series as “Burn Notice” and “Justified.” However, he also plays a reoccurring character in the sitcom “The Mindy Project,” now in its final season on Hulu. “Wheelman” drops on Netflix on October 20, 2017.